Welcome to Romanian Succession, Claimants and Restoration thread. A previous thread about a possible restoration can be found here. 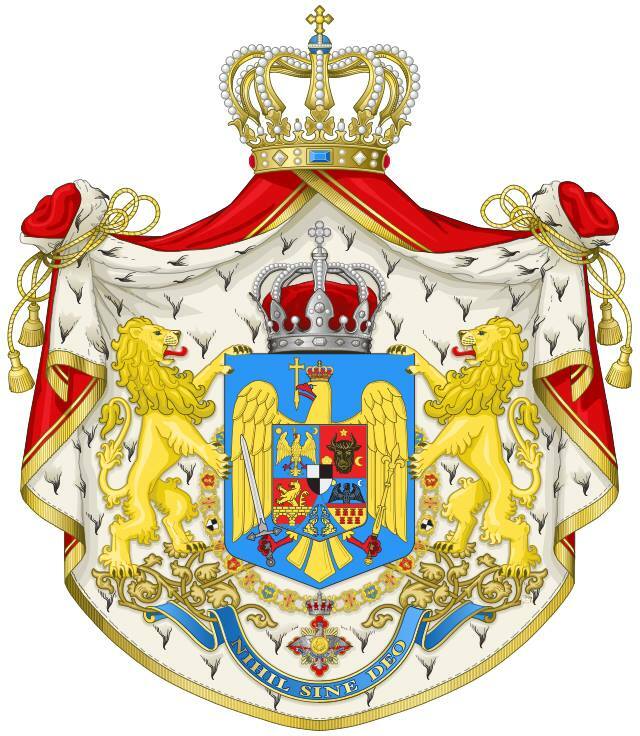 A previous thread about the Romanian succession can be found here. Since the discussions about succession and restoration have proven to be intertwined we have decided to have both issues discussed in the same thread. Well this might be some good news, there has been a poll recently where 46% of Romanians have stated that they would prefer having a monarchy over a republic while 37% would like a referendum to be weld. Meanwhile her royal highness Crown Princess Margareta and former Prince Nicholas have about the same approval rating at around 41%. Now the reason why I say it might good news is because of my experiences with the Serbian polls. Granted there has been a solid 1 out of 4 or 5 Romanians in favor of restoration in the polls I've seen since 2014 which is something to work with but the almost 1 out of 2 Romanians does give me a few doubts. Although maybe in the end it could turn out that more Romanians favor monarchy restoration than I had thought who knows. P.S. Does anybody have an idea about how a monarchy restoration could impact the reunification movement between Romania and Moldova? Everything depends of what questions are asked. It is also that even for those supporting the possibility of the restoration there are different views about who should be King. The Romanian press did certainly not consider this polls very important and there is quite a lot of silence about it. The Bessarabia problem is complex and the majority of the population there is not in favour of the reunification and certainly this has nothing to do with the form of government in Romania. The Avangarde polls asked what Monarchy represented for Romania and more than 40% said something good, only 37% want a referendum for Monarchy while 46 are against. The situation as it is, is actually a very good one. The Romanians have a democratically elected head of state. And oh yes, they have a royal family as well, a remnant of the past and given a place of honour. Would be a great scenario for other countries. To the left or to the right, the Achilles' Heel of the monarchies is their democratic legitimation. Fact remains that the highest office of state is "delivered" by the person who was born first from a certain lady. I would not mind when my country becomes a republic, when such elegant and prudent solutions are found, like in Romania, for a meaningful role of the historic royal family. Republic has never had any legitimacy in Romania and only the pro-communists supported it. The restoration of Monarchy would be a return to legitimacy and tradition. To call a corrupted republic a" great scenario" is rather strange. Of course the republic has a legitimation. Or are you denying that Romania is a democracy? Republic was forcefully founded in Romania in 1947 and the people has never been asked in a referendum to choose between Monarchy and republic. Heu... Were the people of Denmark, Sweden, the Netherlands, Belgium, the United Kingdom, etc ever asked in a referendum to choose between monarchy and republic? That argument is a non-starter. When Ceaucescu was toppled a provisoric Government was formed and a new Constitution was proposed. It was agreed in a constitutiobal assembly chosen by the people. That is more than we can say about how the monarchies ever were imposed on the people. To compare the situation of European Monarchies with the illegal proclamation of republic in Romania in 1947 it means to ignore history. After 1990 the Romanians have never had the opportunity to choose between Monarchy and republic. A corrupted republic can hardly be considered a model for democracy. 1. Well considering that there is interest in the subject what would it take for there to be a referendum on the form of government in Romania? Larger public interest, some politicians and maybe even the president to activate a referendum, what would it take? 2. Should there be a replacement for the former Prince Nicholas? I've noticed that the Romanian Royal Family's situation is almost similar to that of the Japanese Imperial Family in my opinion because of a lack of young heirs. 3. Why are the people of Moldova so against reunification anyway? They speak Romanian, assuming Transnistria doesn't get included in the reunification. Reunification would probably benefit them greatly economically and maybe even politically. Plus modern day Moldova was part of Romania from the end of WWI to during WWII and in a way the nation is rather artificial like Yugoslavia and Iraq. 4. If the Romanian monarchy were restored could this cause a domino effect and lead to other referendums like in Georgia and/or Brazil? 1. Today Constitution forbids any revision of the form of government. To arrive at a referendum for Monarchy first The Parliament should be changed into a Constitutional Assembly which is highly unlikely now. The majority of tge population is not intetested in such a change. The monarchists themselves are not united. 2. None of the descendants of the late King has dynastic rights according to the last royal Constitution. A private document of 2007 that proposed a new Line has no constitutional or legal value. Only in case of the restoration of Monarchy the Parliament can see if the Hohenzollerns are not interested in the Crown And,if they formally give up their rights, a new Dynasty should be called. The return of Monarchy won't happen if the people don't know who will be King. The popularity of the King's grandson Nicholas is a fact and no other young descendant of the King would have his popularity. 3. In Bessarabia after do many years of Russian influence many speak Romanian but consider themselves "Moldovan" which is strange. The majority still speak Russian too and the history of the late Kingdom of Romania is not generally known. 4. Any country is different so a restoration of Monarchy won't necessarily bring the same in another country. Only in case of the restoration of Monarchy the Parliament can see if the Hohenzollerns are not interested in the Crown And,if they formally give up their rights, a new Dynasty should be called. Or the Parliament - which clearly is not bound by the 1923 Constitution - when turned into a Constitutional Assembly can simply decide that the new sovereign will be Margareta (or Nicholas or whoever else they want) and settle new succession rules. Personally I don't think it is very likely that the Parliament will first ask to the Hohenzollerns. A referendum is very tricky. The former Romanian royal family has now the best of they can get. It will be very hard to win a referendum because in the (undoubtedly fierce and dividing) campaign they will have the greatest difficulties to come up with a coherent and convincing story WHY the Romanians have to abandon their democratic elected highest office of state for that of the reproduction organ of the sister of the current head of the former Royal House. The Parliament won't certainly ask the daughter in law of a politician to become Sovereign taking into account not only the Constitution of 1923 but also everything else. If the Parliament will see the Hohenzollerns do not want the Throne, Nicholas de Roumanie Medforth Mills could be the only option that could raise support.Another Dynasty is certainly not excluded. Those supporting the republic on this Forum can be happy at the moment: there is no real debate for the restoration at the beginning of 2018. Ah... tell me something new? For those advocating a restoration of the monarchy: imagine that there will be a Referendum indeed, with sharp divisions in da! and nu! (yes and no) and a fierce debate on Romanian TV, for an example the socialists, the greens, the liberals, the communists grouping and attacking in a debate. For an example, to a candidate of the Da!-campaign: "Please, can you tell me why the reproduction organ of a certain lady is a better alternative than today's system in which all Romanians elect their head-of-state?" The candidate of the Da!-campaign will stutter and fall short of credible arguments. Maybe he will say: "The King has to be impartial". But actually in Romania a president may not be a member of a political party during his term(s) in office. There have been 6 presidents of 5 different parties, so all sides of the spectrum have delivered their candidate into the Cotroceni Palace (the presidential palace). 1. The tradition of the Romanians is Monarchy not republic. 2. Republic was founded with a coup in 1947 and lacks legitimacy. 3. There is not a strong republican movement in Romania but there is a quite strong monarchists one. 4. The republic brought to Romania a system based on corruption and all the presidents dud politics and certainly were not neutral at all. 5. Even if it won't be easy to replace the late King in the hearts of the Romanians the system is so compromised that the people really need a change. To be fair, the Kingdom of Romania (1881-1947) lasted 66 years. Since then Romania has had 71 years without a King (1947-2018). For so far "the monarchal tradition of Romania". Yes, before that present-day Romania was part of the Habsburg Empire and of the Ottoman Empire. Apparently not satisfied at all, otherwise they would not have rebelled to establish an own independent state. Transylvania was a Principality and had Princes for centuries. Wallaccha and Moldova had Princes between the XIV-XIXth century. The Romanians had only Monarchy (Princes and then Kings) until 1947.
not have rebelled to establish an own independent state. I'm sure you know enough 19th century history to be FULLY aware that all over the Continent various Nationalist movements sought to establish independent states..
Romania wanted the same, but chose to retain the Monarchical 'blueprint' it had had over the Centuries.